Adopting agile often doesn’t go as smoothly as expected in an organization. Becoming agile is a learning process which requires that you reflect regularly and adopt your way of working. Valuable Agile Retrospectives provide the solution for a successful agile adoption at all levels in the organization. Retrospectives help you to apply agile practices effectively. With Retrospectives teams and their stakeholders can continuously improve themselves to deliver more value. Retrospective facilitators need to have a toolbox of retrospective exercises and the skills to design and lead valuable agile retrospectives. In this workshop you will learn to do agile self-assessments and readiness checks and to design and facilitate retrospectives that help organizations to become more agile and lean. In this workshop you will learn different exercises that you can use to facilitate retrospectives, supported with the “what” and “why” of retrospectives, the business value and benefits that they can bring you, and advice for introducing and improving retrospectives. Two important conditions to make retrospectives valuable are to have clear goals (why do you do retrospectives) and experienced facilitators (Scrum Masters and / or Agile Coaches). In this workshop you will learn how to adopt and apply retrospectives in your own organization and how to provide retrospective facilitators with a toolbox with retrospective exercises enabling them to do valuable agile retrospectives with teams which contribute to the goals and results of your organization! Attendant of this workshop will receive a free copy of the book Getting Value out of Agile Retrospectives in English or a copy of a translated edition. 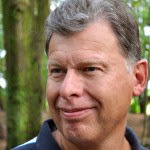 Ben Linders is a Senior Consultant in Agile, Lean, Quality and Process Improvement, based in The Netherlands. Co-author of Getting Value out of Agile Retrospectives. As an advisor, coach and trainer he helps organizations by deploying effective software development and management practices. He focuses on continuous improvement, collaboration and communication, and professional development, to deliver business value to customers.